An important consideration if you want to invest in precious metals is the choice between silver and gold bullion. These are two of the most popular metals chosen, but they are not your only possible choices because you can also choose a palladium bullion investment or other precious metal instead. You can also choose a gold and silver investment, buying both of these metals in varying amounts. If you only have enough capital to choose one though, which is a better choice when it comes to investing? Both investment in gold and silver have seen rapid price increases in the last few years, but right now silver is more affordable and the initial investment amount required may be lower. Silver investing will allow you to buy more bullion than gold will at the start, but you may not see a drastic rise in price the same way that gold has. Both of these precious metals will see market fluctuations, and usually when one metal increases in market value the others also follow. Gold bullion has risen to record highs in the last few years, at a pace that silver has not kept up with. Palladium bullion is another investment choice that may not be well known but can be a terrific investment in the precious metals sector. 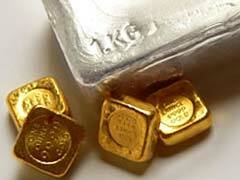 Silver and gold bullion both can be the right choice for a number of investors. If you are trying to decide between silver and gold bullion, look at your investment goals as well as your personal preferences. Determine the type of bullion you want, and the form you want to invest in. You can pick among various forms of physical metal, such as coins, bars and even nuggets. As an investor there is no right or wrong choice between silver and gold bullion, the final answer will depend on what you are looking for as an investor and collector. As a conclusion, answering the question whether you should purchase gold bullion or its silver counterpart, is perhaps like comparing which is better, eating apples or oranges. Each choice comes with its benefits and drawbacks, and personal preferences. We have presented all the facts, the choice is all yours!